Join BrewDog on Devonshire Street every Thursday for a night of beer and board games. 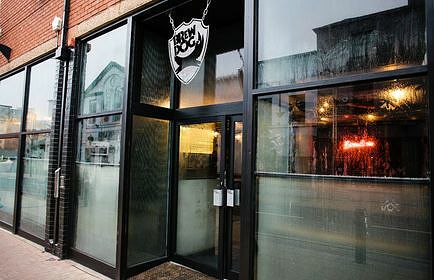 Brewdog serves brews from around the world, from Sheffield favourites through to beers from American and European breweries, it’s a haven for Sheffield’s beer geeks. With comfy booths and squishy sofas, it’s the ideal spot for beer fans to relax after work. Thursdays at BrewDog are dedicated to all things board games, with special bar-wide games taking place throughout the evening. Pair that with the bar’s great selection of craft beer and fantasic range of pizzas and you’ve got yourself a great post-work hang out. Board game night at BrewDog isn’t the only great thing to happen after 5pm in Sheffield on a Thursday. In the Steel City, Thursdays are dedicated to shopping, with many stores saying open later so you’ve got time to browse and buy after work or study. See the full list of businesses that are alive after 5 in 2017, or discover the shops opening late on Thursdays in the run up to Christmas. Love food and drink? Head to Alive After 5’s food and drink section.